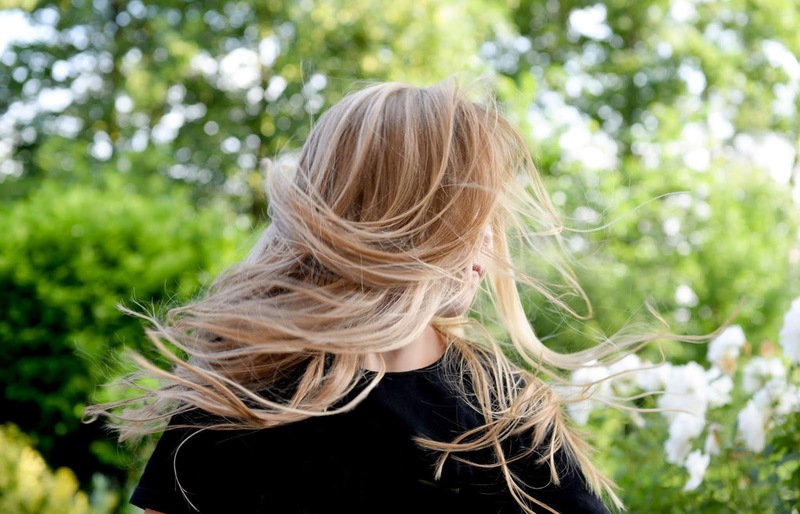 Physically tearing hair out of our skin, follicles and all; the things we do in the name of beauty are actually quite absurd if you think about it. In my opinion there are few beauty treatments out there that are more painful than waxing, and I'll hold my hands up and admit I'm an absolute wimp. But stubbly, 'second day shaved' legs are really not the way I want to go about accessorising my summer wardrobe, and so when the skirts and dresses are out it's surely worthwhile looking at some longer lasting hair removal options. When Bzz Agent notified me that one of their campaigns were featuring the Veet Easy Roll on wax kit cautiously accepted; as painful as waxing is it has to be better than resorting to the razor all summer long (and dealing with painful shaving cuts, ughh I've had far too many of those in my time). The Veet Easy Wax* cartridge inside the device lasts for up to four waxing sessions before needing to be replaced, and the device itself needs to be plugged in for twenty minutes for the wax to heat up. You then roll the wax onto your leg and then apply the wax strip over the top. This is definitely a lot easier than pre-waxed strips that you have to warm up by rubbing them with your hands, and I don't know about you but I think the whole idea of something that plugs in is much nicer and more fancy than plain old strips that you get out of a box? Any residual wax can then be removed using one of the 'Perfect Finish' wipes that are included in the kit, or by applying some oil on a cotton pad to gently lift it off the skin. I'd love to report that this was a completely pain free experience, but unfortunately I'm not some kind of monster with the inability to feel pain. I discovered a wide and varied number of ways to express my pain (some of them more family friendly than others) as I was pulling off the strips, but luckily it didn't take too long to complete. The neighbours didn't call the police in the worry that I was being murdered next door because of the screams, and I now have super smooth legs for the next few weeks- all in all a good result I'd say. 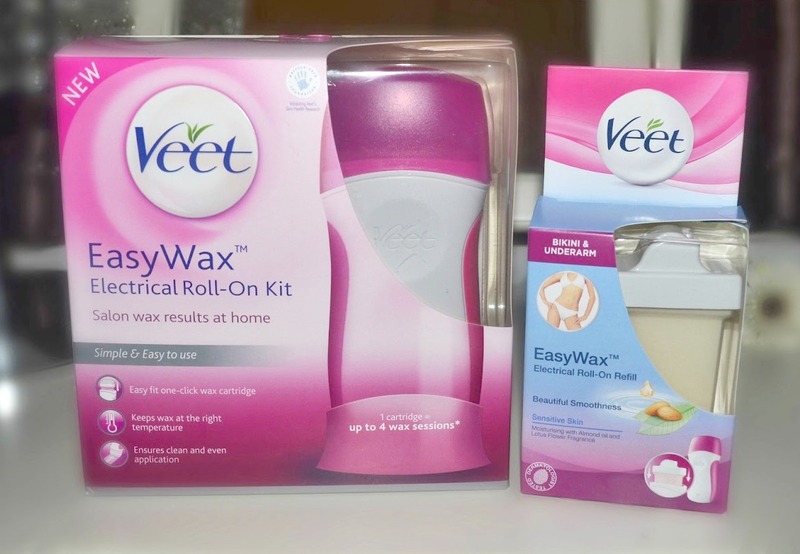 Veet Easy Wax costs £15 from highstreet shops like Boots and Superdrug, with refills costing around the £8 mark. How do you keep your legs looking smooth over the warmer months? Do you stick to shaving or resort to more drastic methods? I love this idea. And yes underarms and other areas being waxed sounds like too much pain! I also like the packaging. I've wanted to try this ever since I saw a commercial on TV. I'm glad to see that it worked out for you! Wow, you are a brave girly! I can't bear the idea of waxing as I'm just a real chicken! :) I think I would do it but I would need someone else to pull the strips off for me! Oooh, I'm curious now! I'd love to use this if I could summon the courage! :) What is being a BzzAgent like by the way? I have also had this sent to me to try, I'm currently letting the hair grow a bit on my legs so I can do it haha! Unfortunately I have thick dark hair so I'm sceptical to see how this will work. I've used the tub heat up wax and that was very good, so hoping this works well too. I've just written a post about Dainty Doll and came across your blog, I've linked you in my post to say you bought lots from Fragrance Direct too. Being in the industry, this is just like the roller waxing system! But buying one of those is alot more expensive than this little contraption! Such a lovely review, Stacey :) I'm glad you enjoyed using it, I'm really excited to get one. & I know what you mean about razors, such effort aswell :/ hehe.